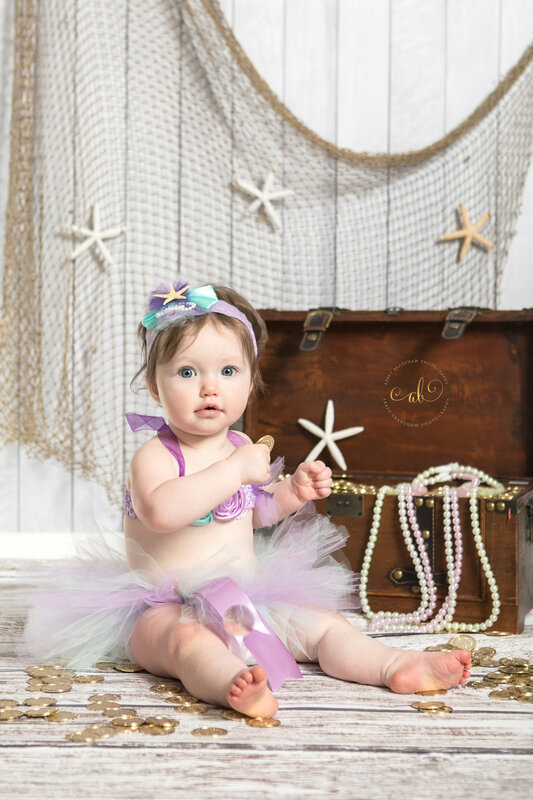 Emersyn visited me in the studio for her 1st Birthday session and cake smash. We had fun taking some portraits of her in her birthday dress and then letting Emersyn smash her cake. Mom and Dad wanted to do a mermaid themed cake smash to match Emersyn’s birthday party theme and I loved it! I had so much fun bringing together different props and designing this set. Emersyn absolutely loved her cake and had a great time smashing it!